Suction Cups with slot head. Suction Cups for wiring on glass. HOME >> Suction Cups. Slot head Suction Cups for wiring >> Suction cups with small slot head. 32mm diameter. 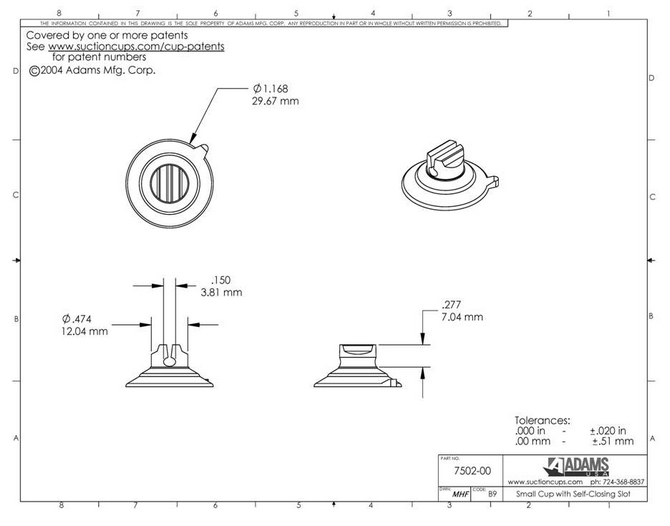 Adams Suction Cups with small slot head measuring 3.8mm in diameter, are ideal for fixing thin wire close to a suitable surface like a window. You can fix Suction Cups to a flat, clean, dry, slick, shiny non-porous, non textured surface like glass, mirrors, glossy plastic, or plain glazed ceramic tiles. 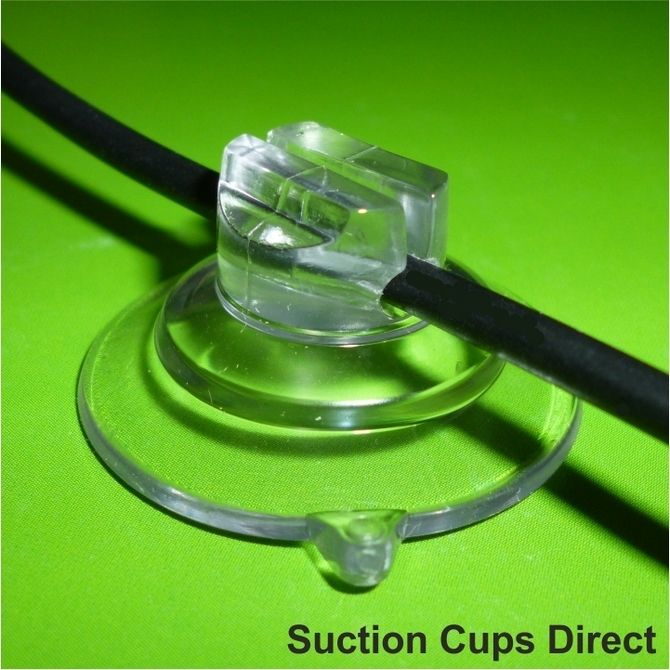 Suction Cups with large slot head for thicker wires is in a separate listing.